WASHINGTON (Sputnik) - The 2018 congressional midterm elections are proceeding with record number of voters participating to elect candidates for the 435-seat US House of Representatives and a third of the 100-seat US Senate, but deficiencies in the election process and infrastructure have been reported across the United States. 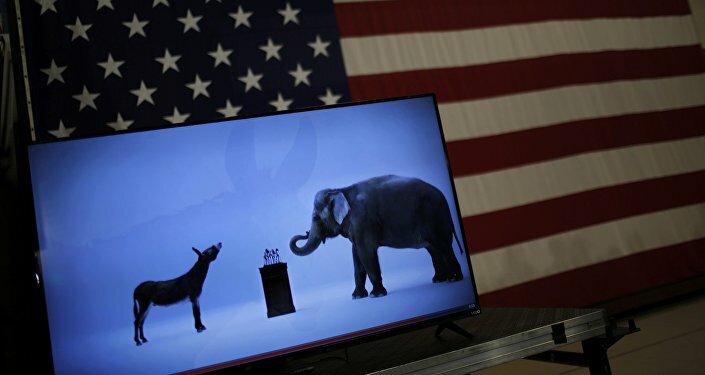 The US authorities have urged voters in South Carolina’s Richland County to review their selections on glitchy touch-screen machines before submitting final ballots amid reports that their votes were changed, News 19 television reported on Tuesday. Voters said the final voting submission page failed to reflect their intended vote, saying their vote was "flipped" to a different candidate, the report said. Richland County Elections Director Rokey Suleman said the county's aging voting machines were calibrated incorrectly and expressed hope new voting equipment would be put in place before the next general election in 2020. 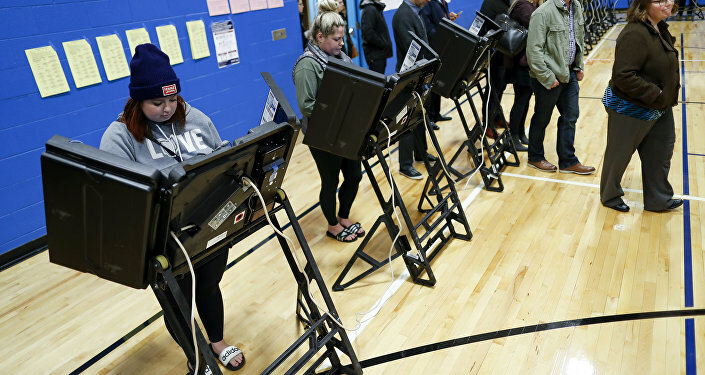 In the state of New York, two local officials said wet ballots have caused scanners to fail at polling places in New York City’s boroughs of Manhattan and Brooklyn, resulting in long lines of voters, Politico reported. The city's Board of Elections has sent out mechanics to fix problems, the newspaper said. In the state of Georgia, voters at four precincts in Gwinnett County are casting paper ballots because of technical issues with voting machines, the New York Times reported. The problem was fixed at one location, but voters were told to cast paper ballots at the other three sites, the newspaper cited Gwinnett County spokesman Joe Sorenson as saying. In addition, heavy turnout in Fulton County, Georgia caused lengthy delays at certain polling locations, US media reported. Fulton County Elections Director Rick Barron admitted that his staff sent the wrong number of voting machines to one precinct, causing extra-long lines, the Atlanta-Journal Constitution reported. FBI Monitors Midterm Elections for Terrorist, Hacker Threats - Justice Dept. Polls conducted before Election Day put the race for Georgia's next governor in a virtual tie between Republican Secretary of State Brian Kemp and Democrat Stacey Abrams. If neither candidate receives 50 percent of the vote, the state would hold a runoff election on December 4. In the state of Michigan, a local ABC station reported that the polling site at the Martin Luther King Jr. High School was temporarily closed shortly after the polls opened because election workers were unable to locate the voting machines. The voting machines were later discovered locked inside a closet on the other side of the school that election workers reportedly did not have access to. The precinct has reportedly gotten the machines out of the closet and worked to have them set up and running soon, according to the report. The media also reported "issues" at three polling locations in the state of Arizona, one of the key states in the US Senate race, but the issues have been resolved, Maricopa County Recorder Adrian Fontes said in a message. Earlier on Tuesday, CBS News reported that the three polling places have experienced issues and are temporarily down — in one location as a result of the building being foreclosed overnight. 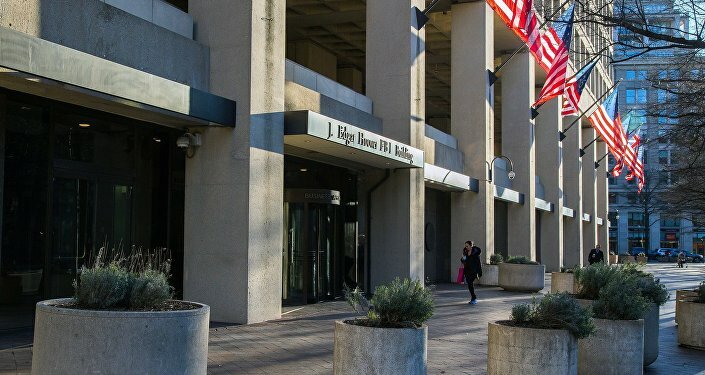 The US Department of Justice said in a press release that FBI agents and lawyers at a command post in Washington, DC will analyze intelligence reports and coordinate responses to terrorist or hacker attempts to disrupt the elections. A command post at FBI headquarters in Washington, DC also stands ready to provide operational guidance to any election related incident involving international or domestic terrorism, malicious cyber activities, or other threats to national security, the release explained. The Justice Department has also deployed officials to polling stations in 19 states to make sure laws protecting minority voting rights are enforced and to watch for voting fraud, the release said.